This giveaway brings us to the last of the L.M. Montgomery Reading Challenge giveaways for this year. The challenge, however, goes on for an additional week - until January 31st. Ever read the Emily books? And even if you had, do you own them? I found a complete paperback set to pass along to one of you this year. Would you care to win? Simply leave a comment below, including a valid e-mail address where I might contact you if you are selected as the winner. This contest is open to US and Canadian residents and will be open through Thursday, January, 24th. THIS CONTEST IS NOW CLOSED. THE WINNER (as selected by Random.org) IS #9 - Annette! Congrats! Note: The winner of Mistress Pat from last week's contest is #14 - Sky! Congrats! My daughter rec'd the Emily series on DVD (seasons 1 and 2)for Christmas. She enjoyed them ,and would love to read the books! I've never read them, but I would love to!!! I have read them and threw them out in a very misguided fit of holiness many decades ago. I would love to get a new copy, especially for the Duchess! This is a set I never bought when I purchasing all my other Montgomery books since I couldn't get into Emily then. I did enjoy them when I got older. 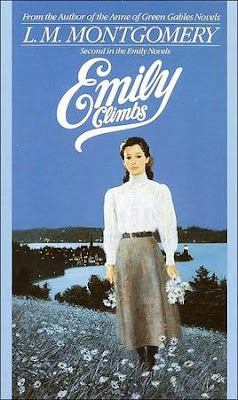 Would love to win, never read Emily but have most of LMM's other works! I can't get over you finding so many used copies of Montgomery books! I have the hardest time finding them when I'm out book browsing. 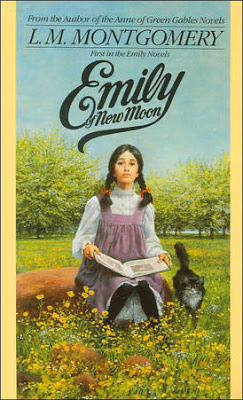 I'd love to read Emily. My library does not have them...would love to win them. I might have read the first one, but definitely not the others. Fun! 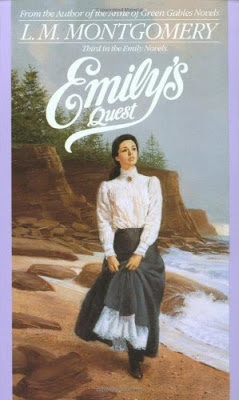 I have so enjoyed the Anne books that I would love to get my hands on Emily! Thanks for the opportunity! Woo-hoo! That was a nice surprise today! I somehow missed that I had won, but they arrived today. Thanks, Carrie, for adding to my collection!